The Apple Watch Series 3 is $60 dollars off on Amazon right now. It includes health features like the Breathe App and a heart rate monitor. The Apple Watch has built-in GPS, an activity tracker, and it’s water resistant. Amazon is selling the coveted Series 3 for nearly 20 percent off, and you can buy it today for $249.99 (they’re originally $309). This 42mm model comes with a black sport band and Space Grey Aluminum watch detail. If you have yet to invest in a smartwatch, you’re missing out on some seriously amazing health features—like the Breathe app, which helps you manage stress levels through breathing exercises. It also comes with a heart rate monitor that sends you alerts when an unusually high or low heart rate is detected. Bonus: It can also initiate an “Emergency SOS” call if you’re ever in a scary situation. 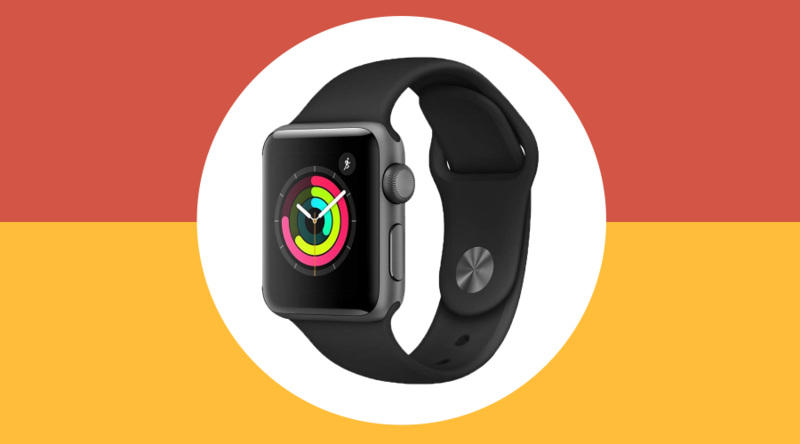 And when it comes to your fitness goals, the Apple Watch really has you covered. If you’re a runner or cycler, you’ll love that this watch comes with built-in GPS and cadence tracking. Plus, it’s water-resistant, so don’t stress about putting it to the sweat test. If you’re into tracking your daily activity, it can also measure how many calories you burn and tell you if you’ve been sitting a little too long. Plus, it can track certain popular workouts like HIIT (high-intensity interval training), yoga, cycling and swimming. Jump on this deal before it’s gone, ladies! Save. Dat. Money.